Lately there has been some interest in WT's Original Old Timey Flytimes Flies. First of all let me say that I'm flattered that my readers see how much hard work and dedication I put into each bug. But more importantly I am proud to announce that I will be offering a limited amount of my Original Old Timey Flytimes Flies for sale. Of course these collectible flies are not for everyone. My flies are only for the select few anglers with the kind of discerning taste that can palate my sparsely dressed and tastefully appointed flies. Good question reader. When it comes to tying flies I'm no Randall Kaufmann but I do tie at least half as good as he does. In fact just to keep it simple we'll say that I am exactly half as good a tier that Randall is. Therefore I am going to offer WT's (that's me) Original Old Timey Flytimes Flies at excactly half the rate Randall himself would sell them for. "But you and Randall don't tie the same flies WT!" Of course we don't, my flies will cost half as much as they would if Randal did tie them. It goes like this (pay attention son). Minimum order is $100.00 just like on Randall's site. Place your orders before I am as good as he is. Do not go to North Idaho without a dozen ants! A few years back I fished the Lochsa in mid July. The intense heat of August was a few weeks early. Early summer hatches fizzled out pre-maturely and the fishes were bummed about it. I tried my best to cheer'em up. It wasn't until I tied on a #12 power ant that I got a few laughs. Trout love ants. Learn it. Love it. Live it. When BTF and his crew get together you can't fade 'em. #4: Blue Ribbon Flies - Not only does Blue Ribbon have one the best flyshops in the West they put out quality catalog. Not a lot of bells and whistles here just the highest quality materials available in mail order. Good stuff. #5: L.L. Bean - A lot like Orvis but better. They're offering a little bit of everything including a square-stern canoe thats coated in stealth paint. I like to think that there is room in the Flytimes Fleet for a stealth canoe. #6: Sierra Trading Post - Have you been wondering where all the Sage XP's went? Sierra Trading post has every last one of 'em. Use the link on Tom's Trout Underground if you order one. There's a few other deals but most of the stuff end's up at Sierra Trading Post for a reason. 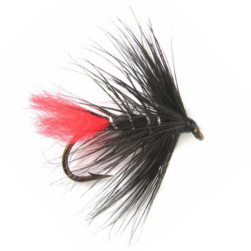 #7: The Fly Shop - The Grand-Daddy of them all. 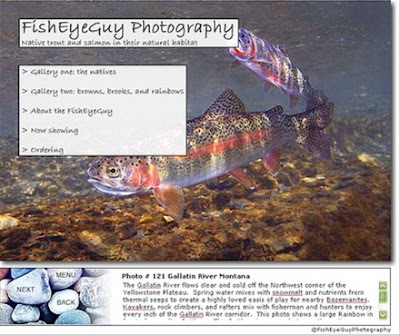 Now published in magazine format in order to fit in all sorts of fly fishy goodness. The best part of this catalog is that there are more pictures of unique and original flies here than in any other piece of junk mail ever. There's also a great selection of rods, reels, fly lines, guided trips and fly fishing travel destinations. Basic stuff in any fly fishing flyer these days but fellers at the Fly Shop put together the sharpest looking catalog in the biz. 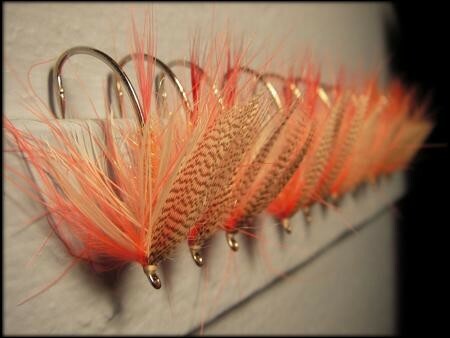 Craig Matthew's Iris Caddis is reminiscent of LaFontaine's famous Emergent Sparkle Pupa. 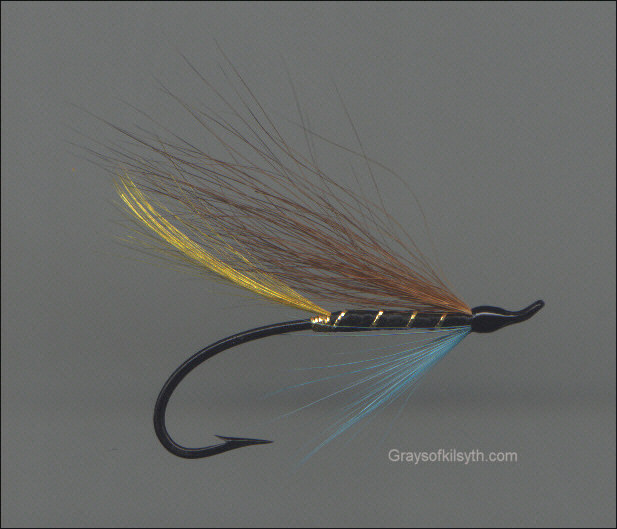 Matthews omits the deer hair wing and ties the zelon in as a short wing rather than a shuck that envelops the entire body of the fly. The pattern I tie is something between the two with a longer wing and sometimes, though not in this instance, a short deer hair wing. I also use Matthews' dubbed head, rather than LaFontaine's peacock herl head. This fly is an awesome imitation of an emerging caddis. 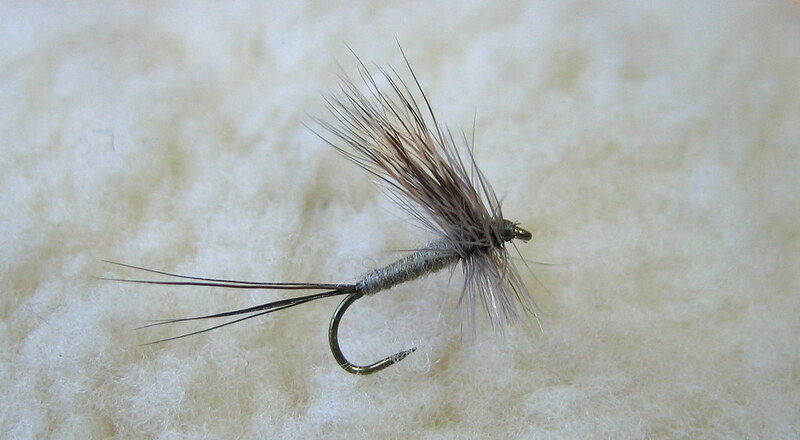 I tie it on anytime there is caddis activity on the river and sometimes (the deer hair version) as a searching pattern. 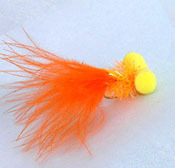 The wingless version is also effective when fished as a wet fly on a downstream swing. 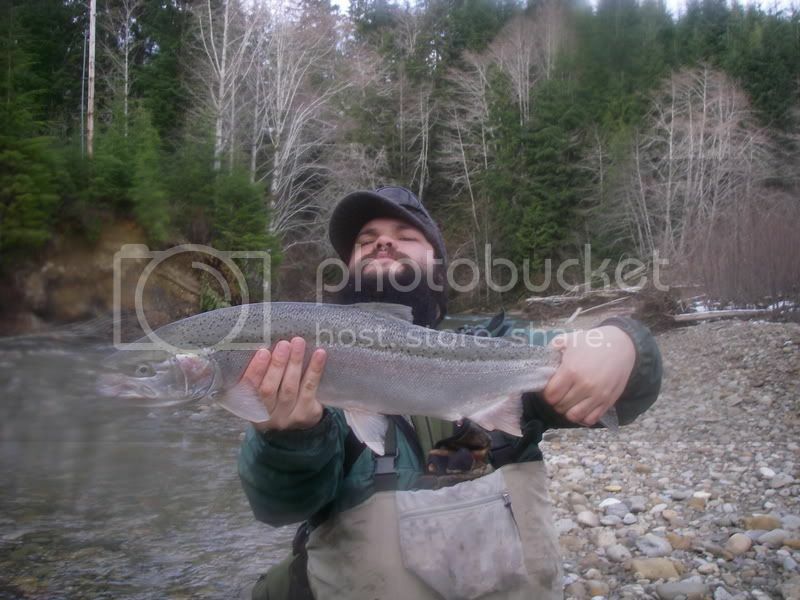 Online fly fishing forums don't offer much of anything new these days but this steelhead report on The Drake is good stuff. JayJ and his crew are down with OP. Check it! Couldn't pass on this link from Trout Underground. Pictures of trouts in their natural environs always get the Flytimes Seal of Approval. This classic Northwest stillwater pattern was created by Boyd Aigner. Clipping the bottom of the hackle even with the hook point allows the fly to land upright on a calm lake surface. According to the 1986 edition of Flies of the Northwest the Chopaka May "provides a very natural silhouette. The take is slow and unhurried." Flytimes has fished Chopaka Lake at least once a year but is going to skip this North Central Washington lake this year. Chopaka suffered a severe winter kill last year and encroachment from illegally stocked smallmouth bass has also taken its toll on the quality of this fishery. Washington Department of Fish & Wildlife (WDFW) has scheduled the lake for rotenone treatment this coming fall. Flytimes is an advocate of the plan to rehabilitate Chopaka Lake but would like to see it executed sooner rather than later. Flytimes Logic: The fishing was bad last season and will be bad again this season. Ergo, WDFW might as well treat the lake this spring, giving the newly planted trout a full summer to grow, providing a quality fishery no later than springtime in '08. Edit: This just in from Bob Jateff, District Six Fish Biologist, WDFW. "Our plans are to do the rehab in the fall of 2007, but I do agree with you that spring would be better. Unfortunately, it takes approximately one year from the time that you decide to do a rehab until the time you actually complete the treatment. This is due to the Department of Ecology's regulations that we must follow very closely. That still doesn't mean that I can't try to move it up a bit, it's just that I doubt if it would be much before September before we get the okay." When he no longer ranges the Lamar River Valley the elk who wore these antlers will still be of this earth. 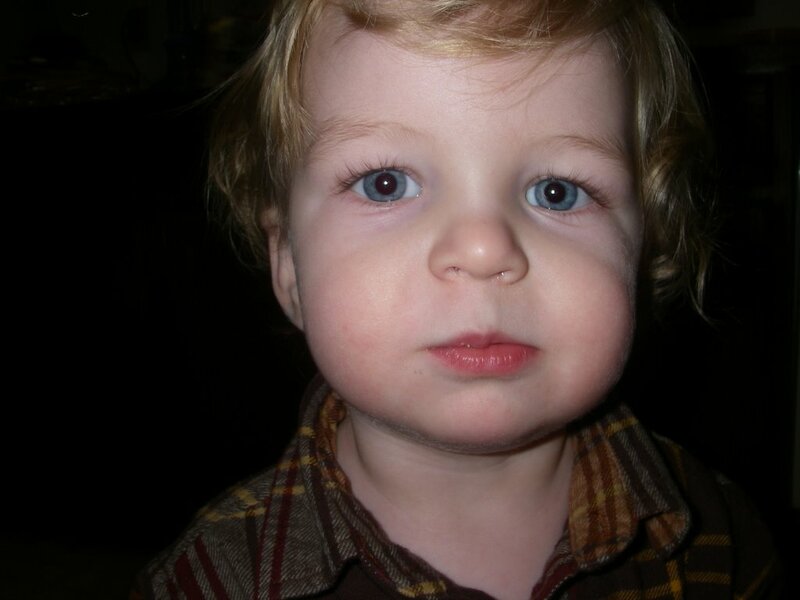 Not even two yars old and this kid already looks "old timey." Destined to be a keen fisher, swiller of sauce and connoisseur of women Augustus Charles Meathead III is a class act despite his patriarchal lineage. Visit 'ol Gus on his blog. Tell him Uncle Wally sent ya. Edit: Gus's surname is actually Bascoe, not Meathead. Here in the American West we call the smallish dark stoneflies that hatch in late winter Little Brown Stoneflies. Over in Finland they have the February Red, which seems to be, more or less, the same bug. 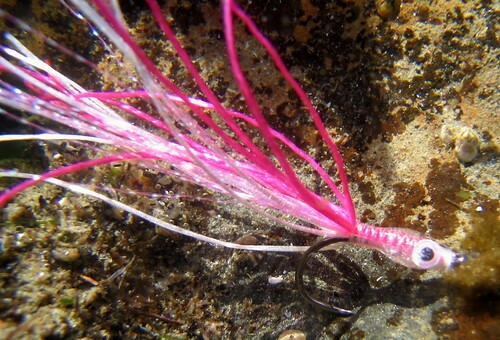 Olli describes the bug and its importance to fish and fisherman on his blog, Opax Fly Fishing. 52 Days And A Wake-up. 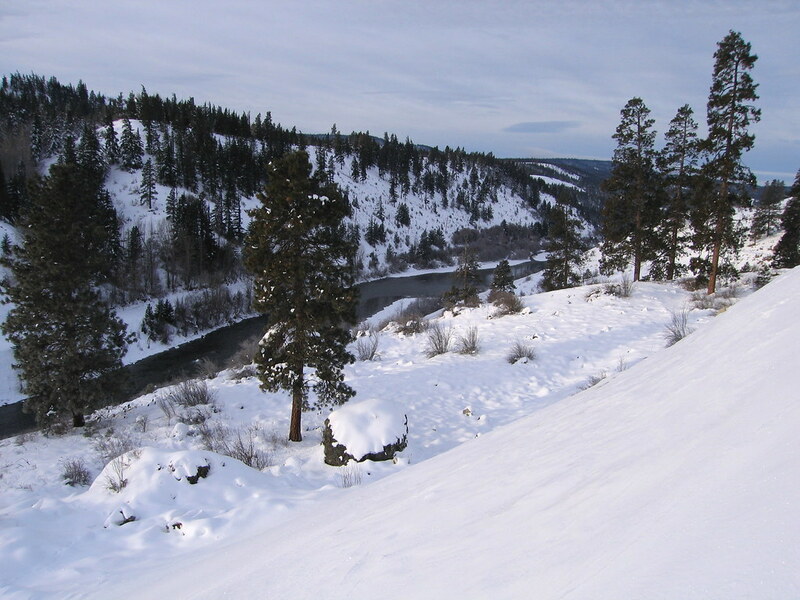 Just 52 more days until the Columbia Basin's finest stillwaters open for the '07 season. Woot! Woot! The annual post-Christmas flood of catalogs started today. This morning three showed up at Flytimes WHQ. #1. Cabelas - Lot's of boats and a wading jacket that looks fairly staunch. The fly-size jig heads caught my eye too. AND! And a full assortment of carp flies. Cabelas is gonna go places, you'll see. #2. Orvis - Features a cool looking canoe/kayak hybrid that probably costs half as much from other retailers. Lots of dog beds and boat shoes. Other than the canoe there's nothing new here. #3. Patagonia - Patagonia's, "Heart of Winter" catalog has a couple of pages of fly gear. The highlight here is a story from one of their own, an east coast rep who lost a rod down in Central America. Apparently a jack pulled it right out of his hands. Oh well the Patagonia label isn't what it used to be so I can't imagine that the reps are anything they like used to be either. From mine own Mother, fish sculptures somewhere in the Dakotas. 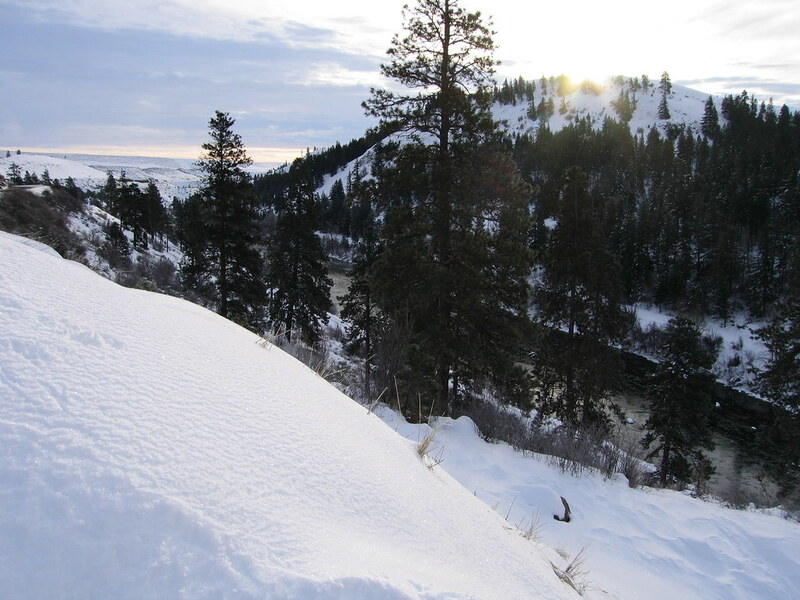 Winter time in Central Washington. Those Cheeky Brits and their Scottish Neigbours come up with the best names for their flies. Here's a sampling. Wee Double - Thee Trouthole always orders a "wee double," then he oders two more. Zulu - I'm guessing its black. Dog Nobbler - A chum fly? Butcher - Like in that movie "Hostel"
Camasunary Killer - More gore from the folks brought us Jack the Ripper. Tash Bung Fly - ??? Carp Biscuit - Like a Scooby Snack. Booby - Not as cool as you would think. Coch-y-Bonddu - I think that it's like a cockroach. Willie Gunn - He's a groundskeeper. Goat's Toe - It's a Pagan thing. Hairy Mary - Old school.